Summary: This film is defined by its uniquely stunning visuals combined with an inventive use of locations. Don’t be fooled by the innocuous title. This latest addition to the South Korean gangster movie comes brimming with enough ultra-violence to fill several Tarantino pictures featuring, as it does, an ample dose of burnings, beatings, shootings and stabbings. But A Bittersweet Life is also an extremely stylish and at times even beautiful film from one of the most talented directors of the South Korean new-wave. Sunwoo (Byung-Hun) is the taciturn right-hand-man to ruthless mob boss Kang (Young-Chul). He’s the kind of fellow that every self-respecting crime lord would want on his side – loyal, respectful and extremely good at dishing out violence on request. Things start to fall apart however when Kang enlists Sunwoo to watch over his girlfriend Heesoo while he’s away on business. When Sunwoo discovers that Heesoo is having an illicit affair not only is he unable to “take care” of the matter as instructed, but he becomes strangely drawn to Heesoo himself – and every gangster know that developing a heart is the first mistake in this line of business. Soon Sunwoo finds himself betrayed by the same people that he’s always been unquestionably loyal towards, and a path of escalating violence inevitably ensues. The actual plot is pretty straightforward. All the usual gangster movie themes (both Eastern and Western) are present and correct – loyalty, unexpected betrayal and, of course, rivers of blood. But A Bittersweet Life is a stranger film than it might initially appear. There’s a weird ambiance to the movie as it effortlessly shifts between the dreamy slow-burning atmosphere of a Ki-duk Kim movie and an expertly choreographed action thriller, complete with thrilling fight scenes. Director Kim Jee-Woon claims that the violence in his movie is intended to be “fun, not realistic”, but there’s a real visceral energy about the bloodletting on display here. 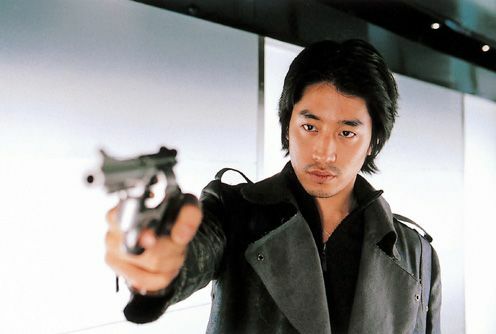 The stand-out scene sees an apparently invincible Sunwoo do battle with hundreds of goons, amidst a backdrop of fire, dust and cars, and it’s a scene that even competes with Oldboy’s outlandish corridor-set hammer clash for sheer guilty excitement. And like Oldboy, A Bittersweet Life is injected with moments of jet-black, often incongruous humour, particularly the bickering low-life duo that would slot nicely into the cast of Pulp Fiction. Kim Jee-Woon has obviously seen his fair share of genre pictures, but his film is defined by its uniquely stunning visuals combined with an inventive use of locations – a character bleeding to death on an ice rink, Seon-woo being buried alive in rain-soaked mud – that makes it a constant joy to watch, even when the plot becomes rather unfocused at times. Kim Jee-Woon’s last movie, A Tale of Two Sisters, was one of the creepiest Asian horrors of recent memory. His latest proves that he can apply his unique vision to whatever genre he damn well chooses, and A Bittersweet Life cements his position alongside Park chan-Wook and Kim Ki-duk as one of the leading lights of contemporary South Korean cinema.